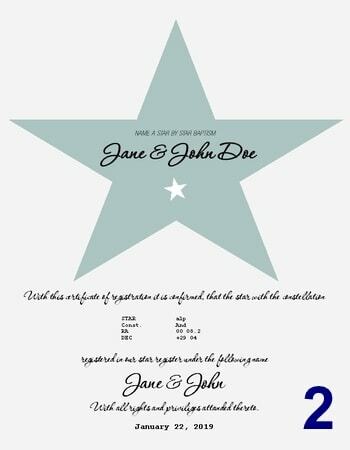 What will your eye partner do when you give her a star? That is exactly what is possible here: Baptize a star in your name - even double names such as. Martina & Martin are possible. With this romantic gift idea you are always right. The Name a Star by Star Baptism makes it possible. Here you can name a star in the sky after a loved one. All stars are brighter than magnitude +8.0, or closer than 50 parsecs. A very original gift idea for couples in love. Below we have put together some useful hints that you should know if you named a star or a star was named after you. No, Like the well-known International Astronomical Union (IAU), we reserve the right to name stars and register in our star registry. The International Astronomical Union is not the one and only OFFICIAL agency which names stars and other celestial objects. Every agency has the right to keep its own star register. No, no one can acquire the right to a celestial object. Celestial objects are a legacy of humanity and no one is allowed to dispose of them. How does the baptism of the stars work? The Name a star by Star Baptism is a private association of private individuals and amateur astronomers. 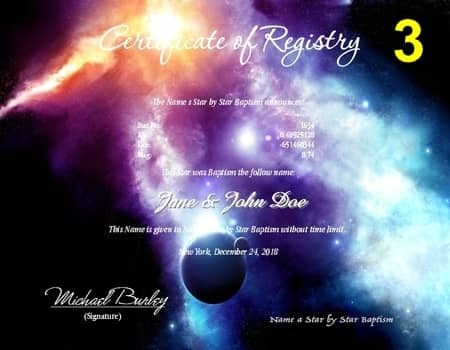 In the star database of the Name a star by Star Baptism your star baptisms or star sponsorships are registered. 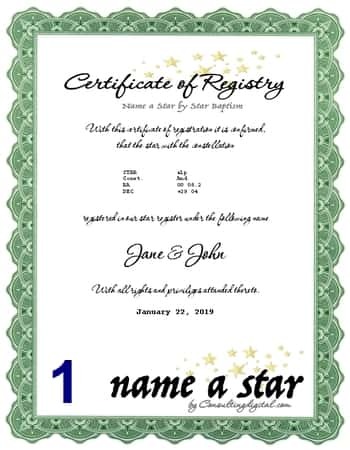 Name a star by Star Baptism Index offers you the opportunity to acquire a romantic gift idea of a very special kind: the sponsorship for a star or a star baptism. Show your loved one who your star is and call a real star after him.